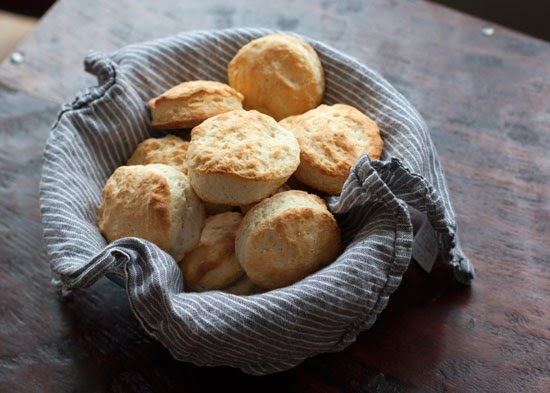 In my humble, southern opinion, nothing beats a biscuit (or three) for breakfast. It's the perfect buttery, crunchy-on-the-outside, soft-on-the-inside vehicle for all sorts of deliciousness. 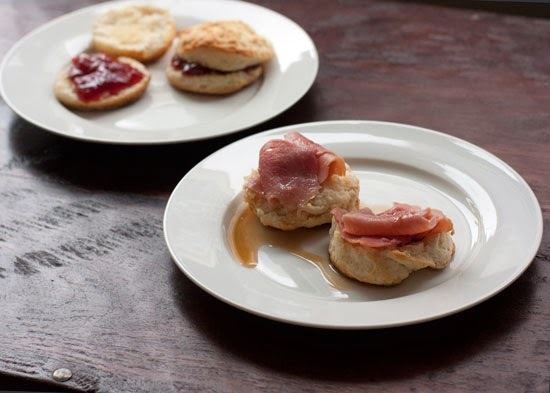 I baked a batch over the weekend using Alton Brown's quick and easy recipe and served them up with strawberry jam and butter and warm maple syrup and ham. So if you're looking for a way to throw your New Year's resolutions out the window, look no further. Delicious. 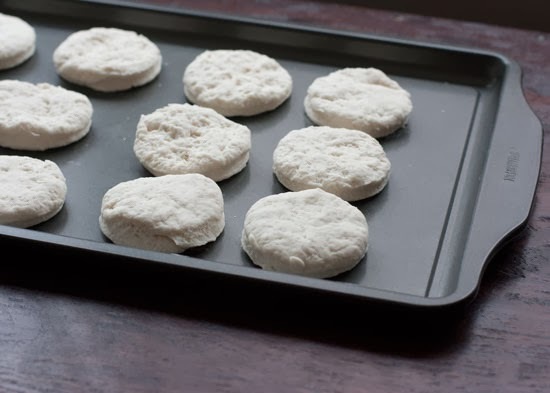 I've only tried biscuits once to not much success. I'll have to try these. Thanks for the suggestion! 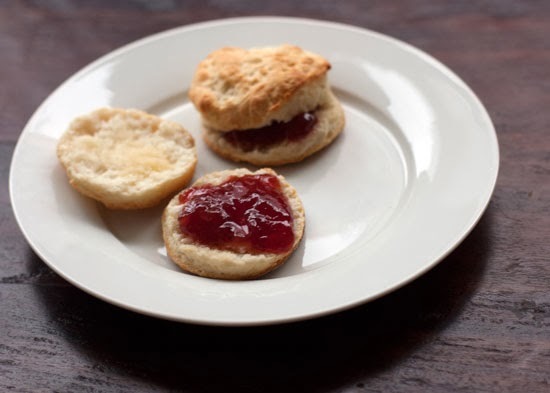 I do love a good biscuit, but I don't make them often because it's so hard not to eat them all! Oh my gosh. Yes. I couldn't agree more. Especially with some homemade preserves and butter! Delicious! 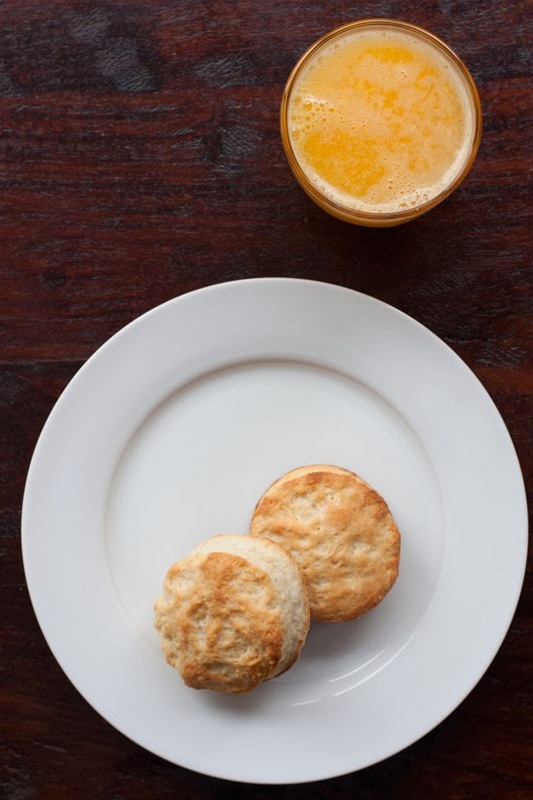 I introduced my baby brother to biscuits with butter and honey when we were in Texas and I could hardly get him to stop eating them–they really are the best breakfast! My pregnant self is dangerously desiring biscuits now! Looks amazing! 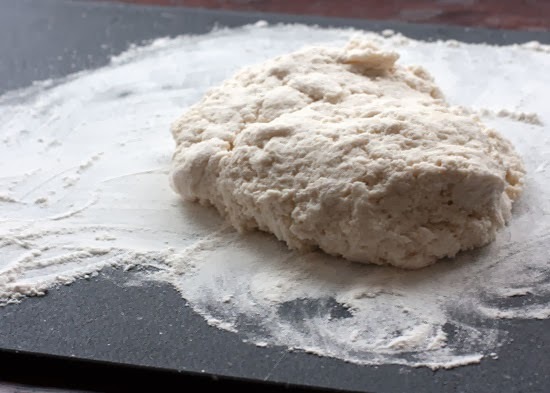 I'm such a sucker for a good biscuit but am usually too lazy to do the rolling and kneading and cutting. But they are so worth it!